Chinese New Year is the most important and popular festival for Chinese people. Have you wondered how do modern Chinese people prepare for the New Year? Let’s take a look at a few things that Chinese do in preparation of the New Year. 1. 回家（huí jiā ）Go home. For most of young adults in China, they mainly work in big cities like Beijing, Shanghai, Guangzhou, Shenzhen and so on. So every person who wants to go back home will face the ” spring rush”, which is call “chūn yùn ” in Chinese. This is the largest annual movement of people in the world. So the parents who live in the hometown will worry about their kids’ journey to go home because of the limited amount of tickets and holiday traffic. But after the kids reach home, parents will relax and begin to enjoy the festival. 2. 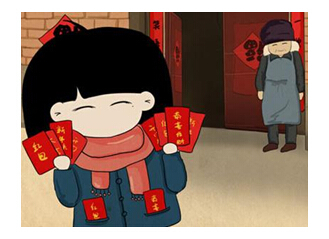 办年货（bàn nián huò）To buy things for Spring Festival. 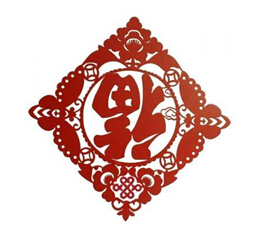 A. Chinese New Year crafts like upside down “Fu”, which means good fortune, happiness, and luck. When the “Fu” is upside down, it means that luck and happiness is coming. So you will see many households have this in order to bring luck and happiness to their lives. There are two lines of poetry with a horizontal scroll bearing an inscription (usually hung over a door and flanked by two vertical scrolls forming a couplet). This item is used to bring in the fortune and luck that the New Year will bring. 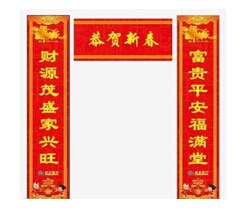 Chinese will bring in the holiday with this commonly used Chinese New Year decoration. Families always hang the lanterns on the door front or inside the house. Also, Chinese families will prepare ingredients for New Year’s food. Some kinds of meat and vegetables are used to cook dumplings, hotpot and Tangyuan. Chinese families will use specific ingredients to symbolize different hopes and blessing for the upcoming holiday. Firecrackers and fireworks will be launched right after 12:00PM on New Year’s Eve to celebrate the coming of the New Year. It is the most common celebration as it brings in the new year while keeping demons and evil spirits away. The Red packets are red envelopes with money inside. The adults, especially married couple will give the red packets to the young children in the New Year days. The money in the red packet will keep children healthy, and bless them a long life. 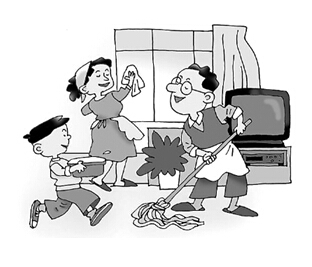 A week before the Chinese New Year, people will clean their house as clean as possible. This cleaning purpose is to remove the old and welcome the new. They believe it to help them bring in fortune and luck for the New Year. 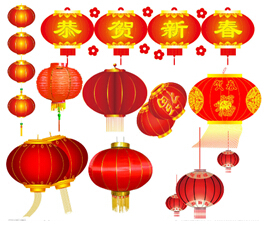 After looking into some of the preparation customs, I hope you learn something new about Chinese New Year. If you have the opportunity to participate in this holiday with a Chinese family or friends, you should do so. So are you ready for celebrating Chinese New Year?